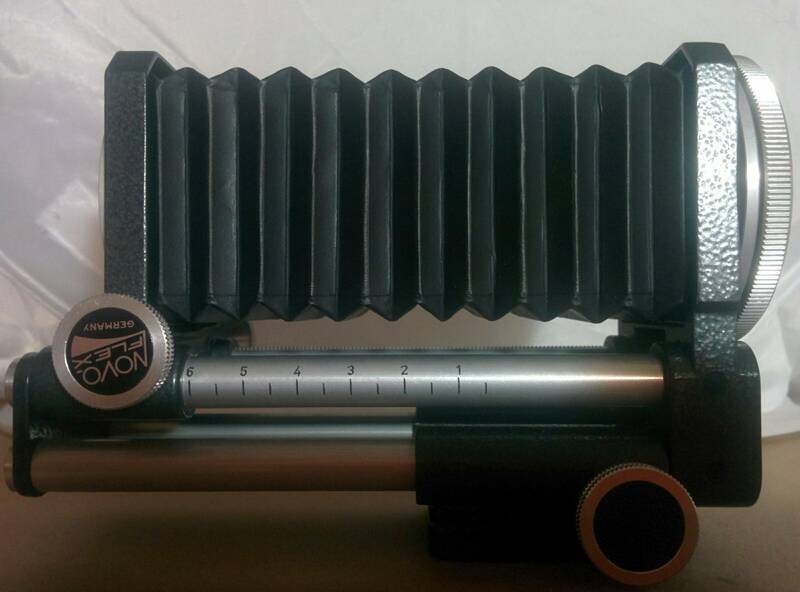 I bought an old Novoflex bellows and I'm trying to find the right adapter for it. Can somebody identify this mount? 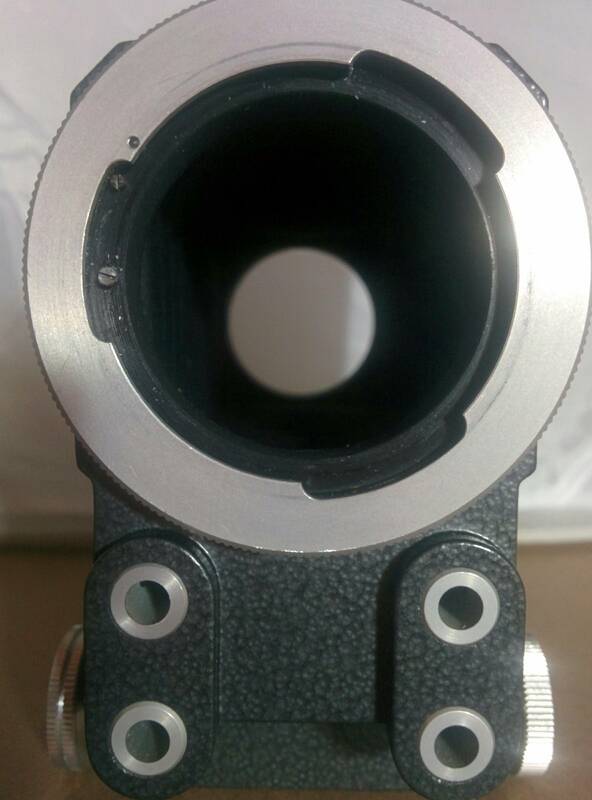 The opposite end is a 39mm Leica screw mount. The collar rotates ~40° or so (almost a quarter turn). It appears to be a locking mechanism. At first I thought it was the old Canon FD mount. It's similar, but slightly smaller in diameter, and with smaller lobes. I only know this because I bought an FD→EOS(EF/EF-S) adapter, and it didn't fit. 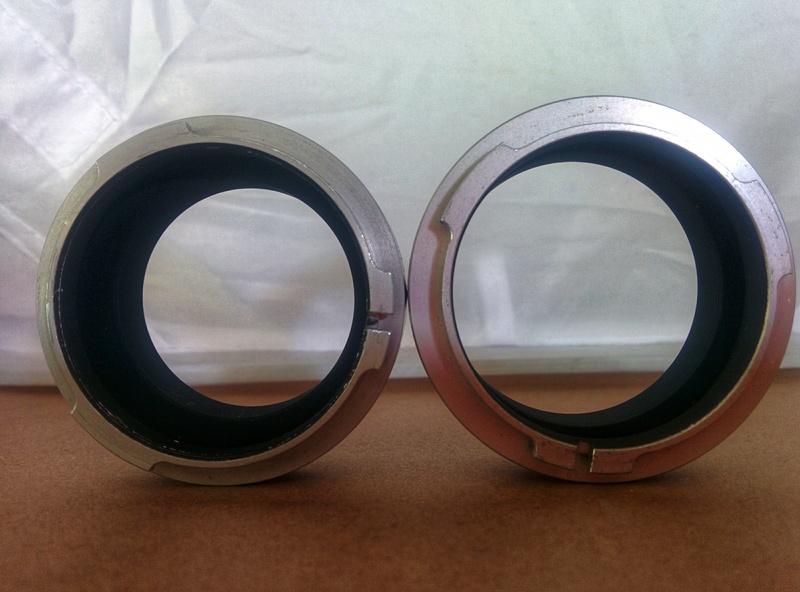 The lens has an extended cylinder with multiple locking tabs protruding from the end of the cylinder (i.e., "male"). 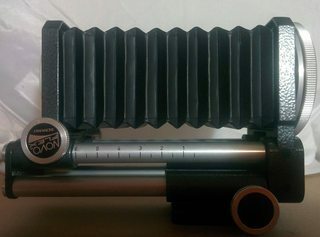 The lens receives the cylinder and tabs. 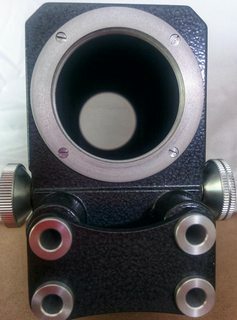 Rather than rotating the lens onto the camera body like bayonet mounts do, the lens and camera mating surfaces do not rotate with respect to each other. Usually, the lens has a rotating collar to lock the mounting tabs. The Canon FD mount was a breech-lock mount that originally had a rotating locking collar. Later FD lenses, marketed as New FD lenses, did not have a rotating locking collar. Instead, while the lens's mating flange did not rotate, the rest of the lens (body, glass, internal mechanisms) rotated. 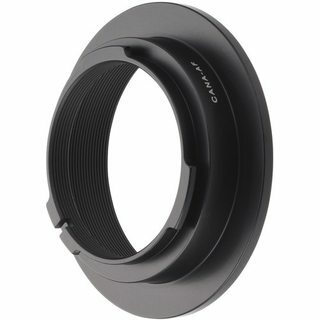 What is this (Chinonflex) bayonet lens mount system? As far as which breech-lock mount this is, there is a thread at pentaxfourms.com trying to identify what appears to be the exact same Novoflex bellows with the same mount. They didn't conclusively identify the mount, but speculated it might fit a Canon 7 rangefinder camera. The Canon 7's mount could accept Leica M39 lenses with its internal threading, but the exterior of the mount was designed to accept their 50mm ƒ/0.95 lens, and their Reflex Housing 2 (which effectively turned the rangefinder camera into a SLR). 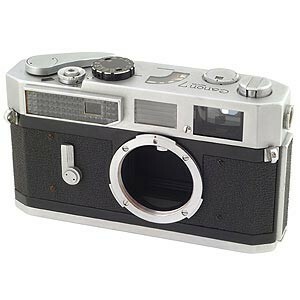 Canon 7 rangefinder body. Note the bayonet tabs to accept a breech mount lens. 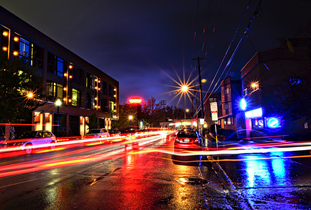 Image from KEH.com, for educational purposes under fair use. The two adapters, labeled "MINA" and "IXA", add a lot of information to the identification. If you search for "Novoflex MINA" and "Novoflex IXA", you'll find that they are Novoflex's terms for "Minolta adapter" and "Exacta adapter". Novoflex used to produce a line of lenses, Novoflexar, using what was called the Novoflex A-mount (not to be confused with the modern Sony/Minolta A mount). 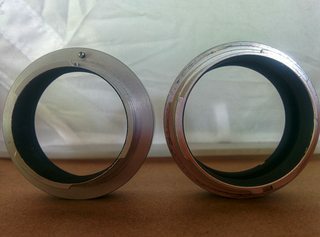 These lenses were breech-lock mounts. The Novoflex BAL-U bellows unit, which yours probably is, used their A-mount. 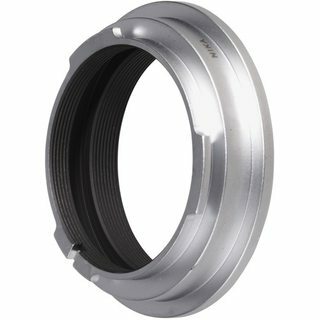 While Novoflex no longer produces those lenses, or the BAL-U bellows, they still produce adapters to mount those lenses on modern camera bodies. All you need is the appropriate Novoflex A-mount–to–whatever body you want to mount on the bellows. These adapters are listed at Novoflex's site. They don't provide good descriptions of the adapters, but you can get their part name for your desired mount, and usually find the adapter (and good product images) at places like B&H Photo Video or Adorama. Novoflex CANA-AF (left) and NIKA (right) adapters to mount Novoflex A-mount lenses onto Canon EF and Nikon F mount bodies. The visible tabs are the Novoflex A-mount tabs. Images from B&H Photo Video (CANA-AF, NIKA), for educational purposes under fair use. Not the answer you're looking for? Browse other questions tagged lens-mount lens-adapter adapter equipment-identification bellows or ask your own question. How can I use Pentax lenses on a Lumix FZ18? What is the mount on this Exakta 100-500mm f/5.6-8 MC Macro lens?